Looking for something to do in Paros Island? Try some watersports, go windsurfing or waterskiing, take a banana ride or a tube ride. 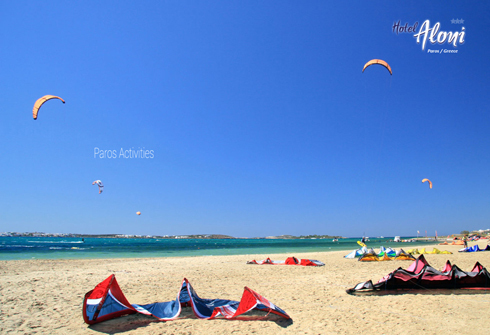 Kite surfing on Punda beach, horse riding at Naousa, bicycling or just swimming just enjoy it! You are on Paros island! All you want is to have fun and you will on Paros island! Aloni Paros recommends the best activities to try!